The Tallawarra Lands form a 572ha. 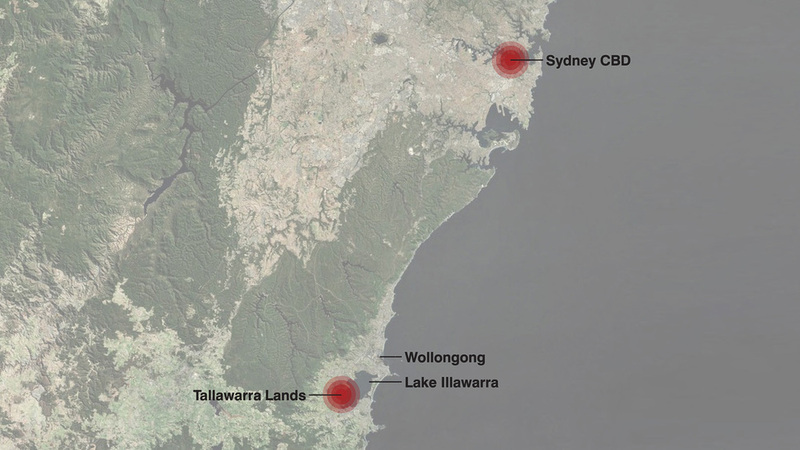 site located on the western foreshore of Lake Illawarra, south of Wollongong. TRUenergy submitted an application under Part 3A of the EP&A Act for mixed use development of the site. We were engaged as a member of a multi-disciplinary consulting team to prepare a Landscape and Open Space Master Plan for the site as part of the application. The Master Plan provides an integrated approach to the planning and design of all landscape components, including open space and recreation areas as well as streetscapes and environmental reserves. Our vision provided by Landscape Master Plan was to create an open space network that is strategically planned to function at both the regional and local scale. At the same time the landscape character of the site was to be preserved and enhanced as a distinguishing feature of the proposed development. The Landscape Master Plan is underpinned by landscape design to create an engaging, safe and enjoyable public domain, incorporating the principles of sustainability through water sensitive urban design and crime prevention through environmental design. areas, grazing and significant areas of remnant ecological communities. The system of open spaces incorporated in the Plan will not only be connected by a network of pedestrian/cycle paths providing safe access for residents and visitors, but will also be connected to the regional network. 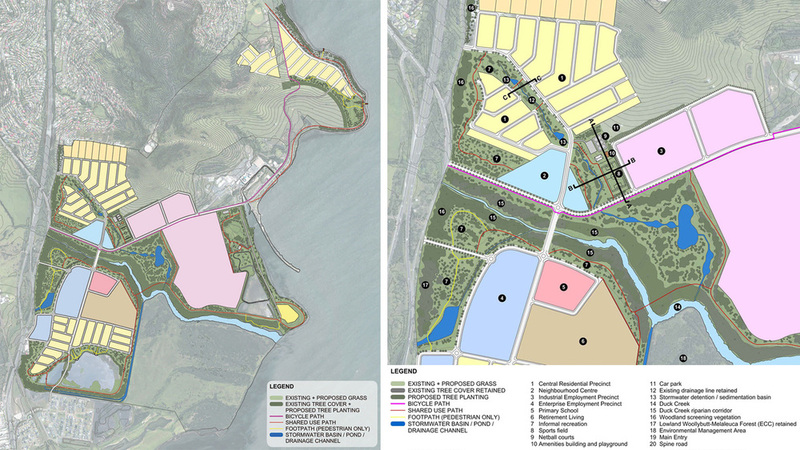 The concept included an extensive system of walking and cycling tracks that provide access from the lake foreshore to the top of Brown Mountain on the western boundary which offers spectacular views across Lake Illawarra.